With everything happening in our personal lives and the wider world, it’s easy to get caught up in the darkness. There’s no shame in taking a mental health day. Taking a day to decompress, relax and do whatever you need to do to practice self-care can have a strong effect on your overall mental health. Though not everyone has the luxury of being afforded specified mental health days, it’s important not to feel guilty for making yourself a priority. Maybe you’re dealing with a long-term diagnosable illness such as anxiety, depression or PTSD. Or maybe you’re just feeling burnt-out and uninspired lately, leading you into a downward spiral. One thing that can help you back on your feet is reading something inspiring. 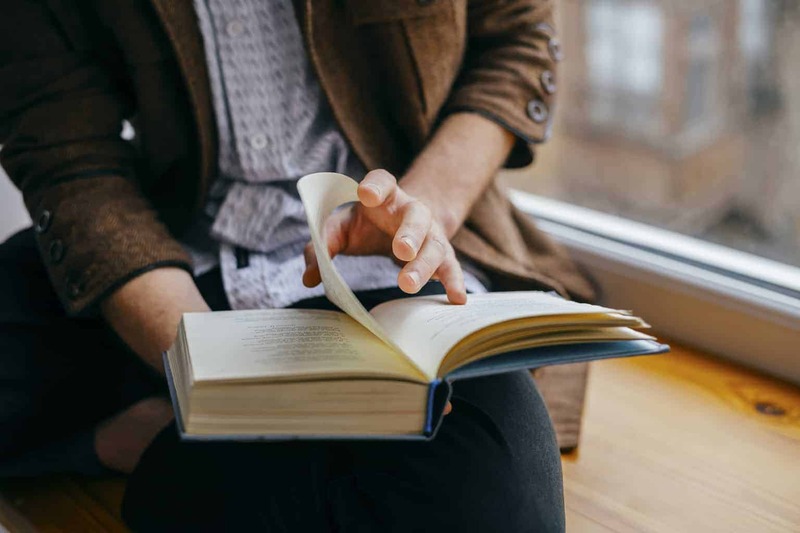 We’ve compiled a list of seven mental health reads for your mental health needs. These pieces are chock-full of soul-lifting, hopeful messages that will have you feeling ready to take on whatever life throws at you tomorrow. Jason Reynolds is known for his naked truth which rings clear without talking down to his audience. His words aren’t lengthy, but they pack a punch. For Every One is a poetic letter that inspires those who need to make the jump toward passionate and intentional living. Reynolds’ message of hope through confusion is something that all humans need to read. Three months after George Saunders delivered a graduation commencement speech at Syracuse University in 2013, a transcript popped up on The New York Times website, and it struck a deep chord with millions of people. Saunders’ words tap into desire in all of us to lead kinder and more fulfilling lives. Tama Kieves is an inspirational coach and career-transition expert, and she knows a thing or two about dramatic changes. She graduated from Harvard Law School with high honors, and after an unfulfilling life at a prestigious corporate law firm, she left her job to pursue her passion and make a name for herself as a writer. Thriving Through Uncertainty proves that the moment all your plans fall apart is the moment your life truly begins. She shares things like: how to control your mood to stay focused and happy, how to have faith in yourself and your journey, how to allow yourself to feel pain and discomfort, and more. Kevin Love, five-time NBA All-Star, wrote a thought-provoking essay after suffering a panic attack during a game. He talks about being taught “how a boy is supposed to act” and “what it takes to be a man,” hiding his mental health from media and fans alike. Love, like many suffering with a mental illness, found that he didn’t know himself until he came face to face with his inner battle. The hardest part of his journey was admitting that he needed help, which is a feeling that many people share. In telling his story, Love has opened the door for athletes and individuals, showing there’s more strength in seeking help than there is hiding. The creator and producer of some of the most groundbreaking shows on TV today, Shonda Rhimes inspires people to live before they die. In her shows, her iconic characters have no fear in speaking their minds and living boldly. So who would have expected that Shonda Rhimes is an introvert? That she suffered many panic attacks before media interviews? In Year of Yes<, Rhimes talks about overcoming insecurity and how she blossomed into who she is today by saying yes to things she’d normally say no to. Anyone who’s feeling stuck or unsure of themselves should read this to change their way of thinking. In a collection of short essays, including the one that led to the founding of nonprofit To Write Love On Her Arms, we’re able to see that there is a relevance to a variety of difficult situations. Tworkowski’s insight on depression is so raw and hopeful that it has the capability to pull someone out of their absolute darkest realm. News is sad. But not all news has to be sad. Columnist Hannah Jane Parkinson wrote a killer op-ed about embracing the good news stories over the predominantly negative ones. In her piece, she alludes to the raccoon that scaled the side of a Minnesota building earlier last month. Social media has such negative connotations in our society, but it doesn’t have to. Parkinson shows us an ulterior angle at the media that is readily available in support of our mental well-being.